A rainbow parade of epic pride proportions will open this year’s ArtsWells Festival. “The Artswells Festival has been going since 2004 and every year we have kicked off the festival with a parade,” said Julie Fowler, executive and artistic director for Island Mountains Art and the Artswells Festival. Fowler adds that they have always had strong support for LGBTQ artists, partners, and allies at Artswells. 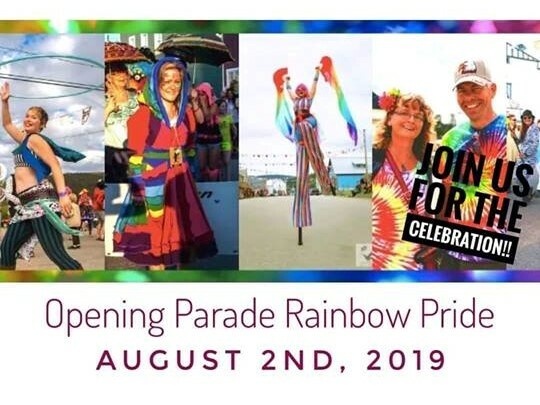 Everyone is invited to attend the parade that will take place on Friday, August 2 at 7 pm. Fowler recommends that people arrive earlier as children’s performer Al Simmons will be hosting a workshop to make your own musical instruments out of household items that might otherwise go into the trash or recycling bin during the day. “Wells is not a big place so it’s a short parade,” Fowler said.